We're rolling out a major update for 3DMark today that adds a new user interface for all editions and a preview of VRMark for Advanced and Professional Edition users. Exclusive to 3DMark Advanced and Professional Editions, this update adds an interactive preview of VRMark, our upcoming virtual reality benchmark. In this preview, you can freely explore two VRMark test scenes with Oculus Rift and HTC Vive. But don't worry if you don't have a headset. The preview works with your monitor too. The VRMark preview is a taste of what to expect from the full release, coming soon. Scene 1 is designed for the Oculus Rift and HTC Vive minimum spec. Scene 2 requires more powerful hardware. The preview does not produce a benchmark score. 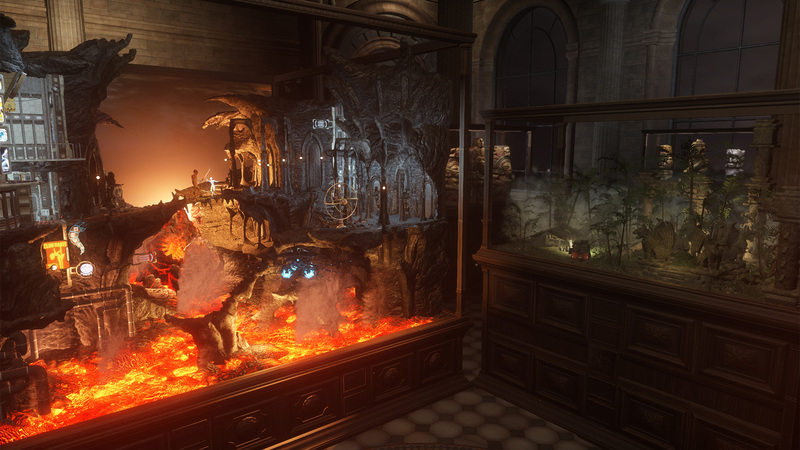 3DMark grows bigger every year with new tests. Since launch, we've added Fire Strike Ultra, Sky Diver, and the API Overhead feature test. With more tests coming soon, we've created a new user interface that's faster, more flexible and easier to use. The new Home screen shows the recommended benchmark for your system. No more guessing which benchmark is right for your PC. You can run other tests from the Benchmarks screen. 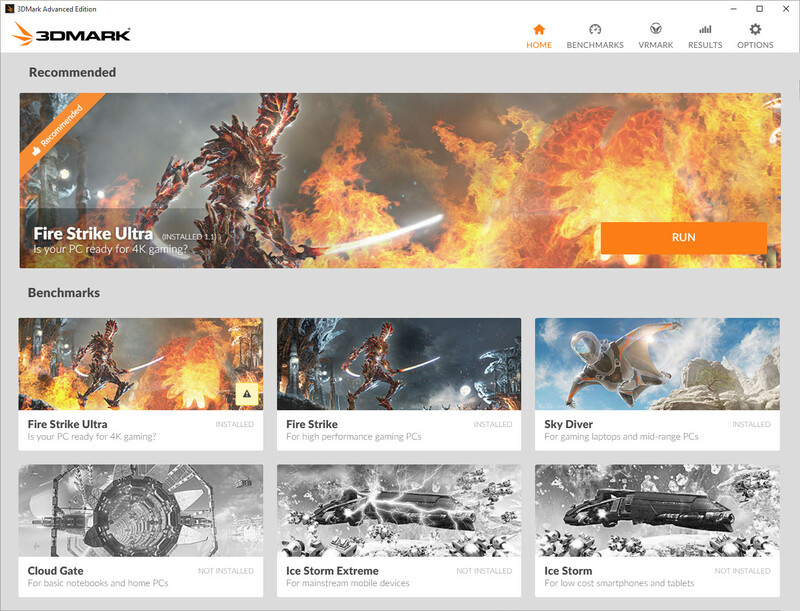 We've also rebuilt the internal framework of the 3DMark app. On Steam, you can now install and update individual benchmark tests independently. This makes the initial download much smaller. And it means you can choose to install only the tests you need. We've also enabled the ability to update tests individually in the standalone 3DMark Advanced Edition. Say goodbye to massive downloads with every update. This update also adds Russian localization, unlocks Ice Storm Unlimited and Ice Storm Extreme in the Basic Edition, updates SystemInfo for improved hardware detection, and adds a workaround for an issue that resulted in some AMD graphics cards running at lower than expected clock speeds. You can read the complete release notes for this update here. 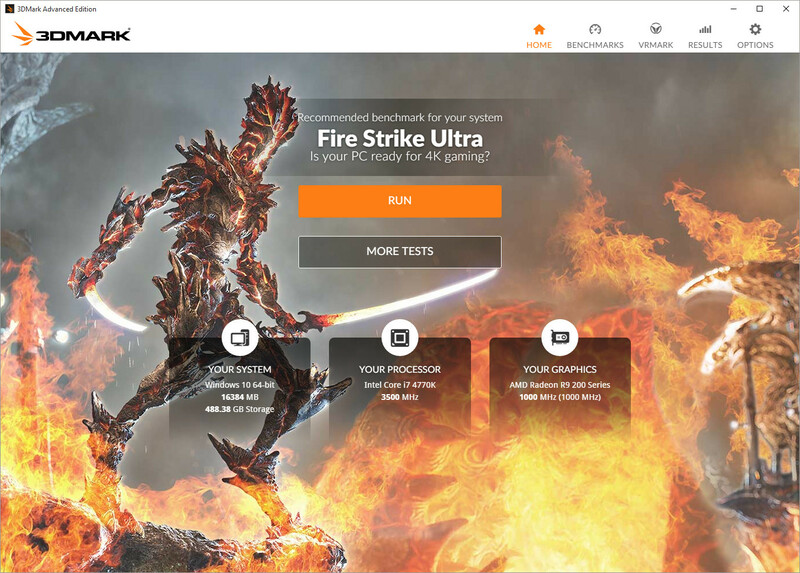 You can download or buy 3DMark from our website and from Steam.